Deputy Defense Minister calls on government to appoint empower Chief Rabbi to handle conversion matters, says delay harming converts. 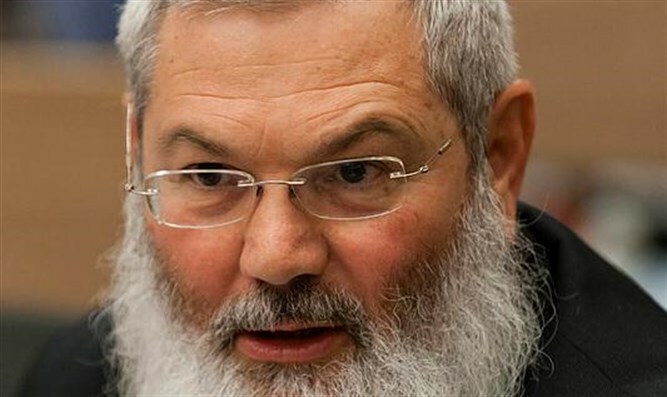 Israel’s Deputy Defense Minister, Rabbi Eli Ben Dahan (Jewish Home) called on Prime Minister Binyamin Netanyahu to appoint Rabbi David Lau as the official arbiter of conversion matters in Israel, filling a vacancy left since the departure of Rabbi Yitzhak Yosef in August. Since the establishment of the State of Israel, the country’s two chief rabbis – one Sephardic, the other Ashkenazi – have served in various senior positions for religious matters, ranging from head of the Rabbinate’s supreme rabbinical court, to the official arbiter on state conversions. For decades, it has been customary for the two chief rabbis – who serve a ten-year term – to split the role of chief arbiter on conversion affairs into two five-year terms. This August, Sephardic Chief Rabbi Yitzhak Yosef completed his five-year stint as the state’s top conversion official. While the arrangement has been maintained for decades, the state’s top conversion official must still be appointed by the government. Despite Rabbi Yosef’s departure following the conclusion of his five-year term as the chief arbiter on conversion, the government has yet to tap Rabbi Lau, the Chief Ashkenazi Rabbi of Israel, to replace him. In his letter to Prime Minister Netanyahu, Rabbi Ben Dahan warned that the lack of a chief authority on conversion issues could severely impact those currently involved in the conversion process, particularly those complicated personal status issues requiring rulings by the conversion authority. “The lack of a guiding [arbiter] to direct the judges is causing serious delays,” in the conversion system, Ben Dahan wrote, “especially in serious cases which need,” immediate attention.